If you’re in the construction business and you’re having difficulties with criminals and trespassers, It’s important to make sure you are up to date with your security system and doing everything you can to keep your materials and equipment safe. Keeping a construction site secure is certainly no easy task, so try some of these tactics to make sure criminals don’t target yours. Millions of pounds worth of equipment and construction materials are stolen every week, and this can most commonly be due to the fact that materials have not been left behind lock and key! There are a number of simple ways to keep your materials safe and this would be dependant on the size of your project and the amount of materials you need to store. For smaller projects you can invest in storage containers, commonly for garden use. Sometimes these can be a little flimsy, so we recommend you do your research, but keeping your materials out of plain view is going to make it harder for criminals to estimate the value of your equipment and materials. If you are working on a larger project, we highly recommend shipping containers. They have been proven and tested on how secure they are, as well as being great for sizable items. Similarly to smaller containers, potential criminals will not be able to see the contents of the container, so this will again dissuade them from breaking in. Sometimes you just need a security guard to get things into shape. Nothing deters criminals from targeting your site more than the knowledge of a manned security presence. Many of our tips will discourage criminal activity, but nothing is as reliable as having a professional take care of your site for you. This will also mean you will be able to hand over all your security worries and responsibilities, giving you more time to oversee the rest of the site. It’s a common mentality to leave a light on in your house before you leave for extended periods of time such as long weekends and holidays to deter potential criminals from entering your home. This same mentality should be applied to your construction site as you may see improvements in the number of trespassers entering the premises. Keeping your site well lit will give passers by a better view of the premises and will give an indication workers are still on-site. CCTV is essential to your construction site if you really want to keep a close eye on its day to day activity. It’s important you are aware of the different types of CCTV available to you to insure you are getting the most out of your security set up. The two most common CCTV cameras in use are the “Dome” and “Bullet”. There are very distinct pros and cons when comparing these devices. For example the Dome camera covers a much larger area using a warped (dome shaped) lens, however the Bullet camera provides a smaller field of view, but the quality of the image provided is much clearer as a result. With an understanding of the areas you wish to cover, you will need to bear this sort of information in mind when investing in CCTV. Sometimes the simplest methods are the most effective. Installing fencing or an established barrier around the premises will discourage a number of criminals from attempting a break in and will also provide a clear indication of the area in which your construction site is situated. 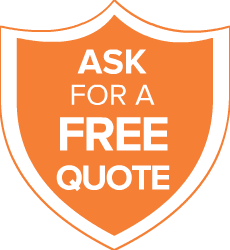 Don’t forget you have plenty of options regarding what type of fencing you can use. You may just want a standard fence/wall to give your CCTV plenty of time to catch the culprit with a clear image. Or you can install electric fencing, which as we all know will certainly make any trespassers think again! The possibilities on optimising your security setup is becoming easier each day with the use of virtual guards, apps and smart devices. Streamlining your security setup is the last step for those who implement technology into your day to day lives. Some device purchases you make like CCTV cameras and alarm systems come pre-packaged with access to a partnering app or software. Hopefully, these 6 tips will give you an idea of what you need to be thinking about to make sure your equipment, materials and most importantly your staff are safe on your construction site. Using one or more of these methods will make sure you can do your job without any interruption. If you need any advice or assistance to keep your construction site safe, contact us!